Such a happy sight. 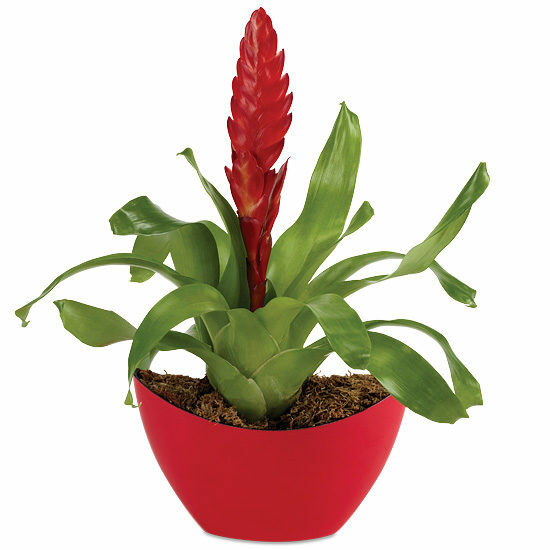 Our hearty crimson bromeliad pops up from a bed of moss and wispy green foliage, creating quite a cheerful scene. Pair that with the simple fun of our boat-shaped cachepot and you have a delightful gift that’s perfect for birthday, get well, the holidays, or any occasion. Adding to its charm, the cachepot is made from 40% green recycled materials. We think these sweet surprises look even cuter in pairs. Place your plant in an area of low, indirect sunlight. To water, put a half-cup of water in the center of the bromeliad known as the “cup.” Next, water the soil with another half-cup of water. Good drainage is essential and will help to prevent root rot. 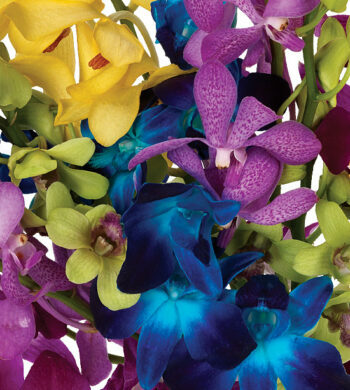 Avoid excessively hot or cold areas, however, it is tolerant to higher temperature conditions. Your plant will enjoy an occasional misting too.